Have you eaten Chausela, Hathhfodwa, Aersa, Dhuska, Doodh Fara, Peedhiya, Muthhiya, Deharuri, Papchi Puran Laddu, Kari Laddu, Angakar Roti, Bafori, Babra, Gulgula and more? If not, join me on my delish, humble, delightful and inquisitive culinary trip to the rice bowl of India. The edited version of the below article has been originally published in the November-December issue of India & You magazine, published by Media India Group. One of my favorite things of being a travel writer is there is always something amazing on my platter and I get to learn about unique cuisines on every trip. I am always game to walk that extra mile to smell that local smell which wafts from the faraway little house or a tiny eatery in a village, town or city. Simply put, there isn’t anything more delicious and appetizing than solving the complexities of flavor and fusion of a region. And as soon as I find myself falling for the interplay of spices, flavors and aromas of a local platter, I know I am in love with the heritage of the place. 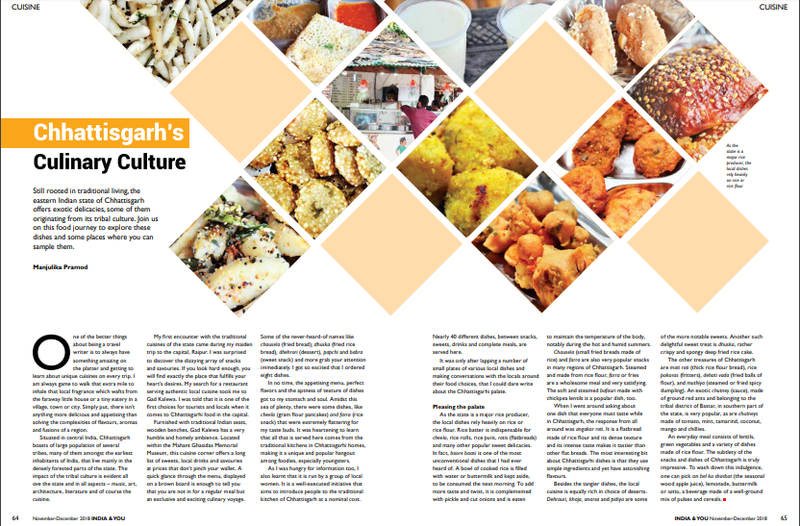 My maiden trip to Raipur made me abreast with the traditional Chhattisgarhi cuisines and I was surprised to know that the state boasts of a dizzying array of snacks and savory. It is high time that we characterize it for its many other specialties apart from its tribal image. The world also needs to know that Chhattisgarh has an incredible culinary diversity and serves a wide range of mouth-watering dishes. Some places specialize in giving you just what your heart desires. My search for a restaurant which served authentic food in Raipur ended at Gad Kalewa. I was told that it is one of the first choices for tourists and locals when it comes to Chhattisgarhi food in the capital. I visited, indulged and returned impressed with the food culture and culinary strengths of Chhattisgarh. The traditional Indian style seats, wooden benches in small little sections and a chowpatti kind of setup gives a very humble and homely ambiance to the place. 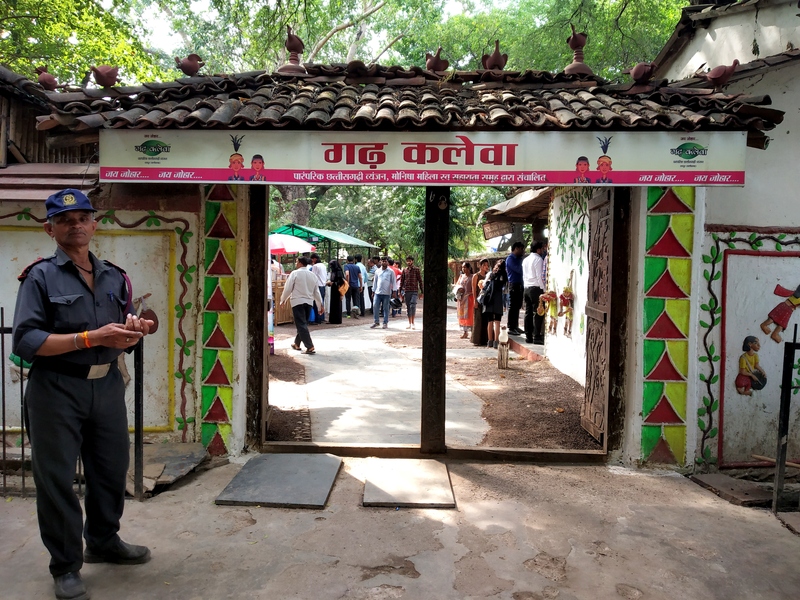 Located inside the premises of the famous Mahant Ghasidas Memorial Museum, this cuisine corner offers a long list of sweets, local drinks and savory at very pocket-friendly prices. A quick glance through its brown board inside is enough to tell you that are not in for a regular meal but an exclusive and exciting one. Some of the never-heard-of names like Chausela, Dhuska, Hathhfodwa, Aersa, Khurmi, Dhehrori, Papchi, Peediya, Babra and more grab your attention immediately. I got so greedy that I ordered a plateful of almost eight dishes. In no time, the appetizing menu, perfect flavors and the aptness of texture of dishes got to my heart and soul. Amidst the sea of plenty, there were some dishes, like cheela, farra, aersa and peethiya which were extremely flattering to my taste buds. 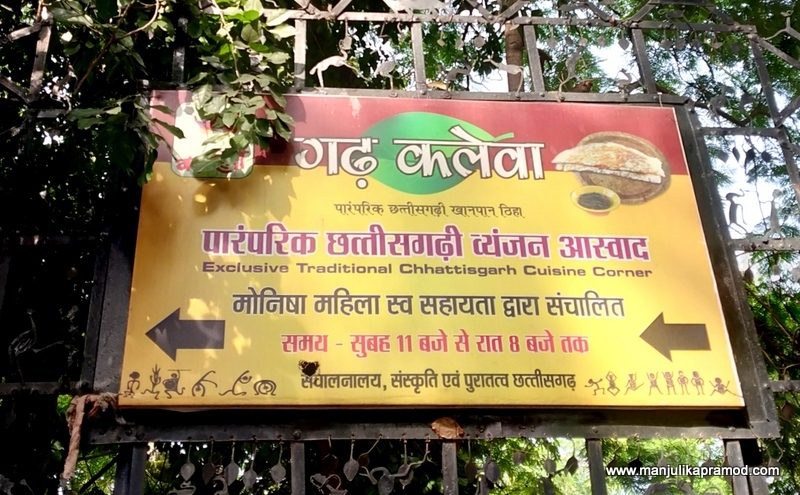 It was heartening to learn that all that is served here comes from the traditional Chhattisgarhi home kitchens and this is what makes it unique and popular hangout among foodies, especially youngsters. As I was hungry for information too, I also learned that it is run by a female group who hail from regional areas. It is a well-executed initiative that aims to introduce people to the local flavors of Chhattisgarh at the most nominal cost. More than three dozen dishes comprising of interesting snacks, sweets, drinks and complete meal are served in here. It was only after lapping a number of small plates of variety of local dishes and making conversations with the locals around their food choices, I have dared to touch upon the local palette of Chhattisgarh. A peek into the palette of Chhattisgarh! Our rice producing state can’t do without rice or rice flour. Rice batter is indispensable for cheela, rice rolls, rice puris, rotis (flatbreads) and many other popular sweet delicacies. In fact, ‘boore baasi ‘is the most unconventional and never-heard-of-before dish that my driver in Raipur told me about . A bowl of cooked rice is filled with water or buttermilk and kept aside, only to be consumed the next morning. To add more taste and twist, it is complemented with pickle and cut onions and is eaten to maintain the temperature of the body. 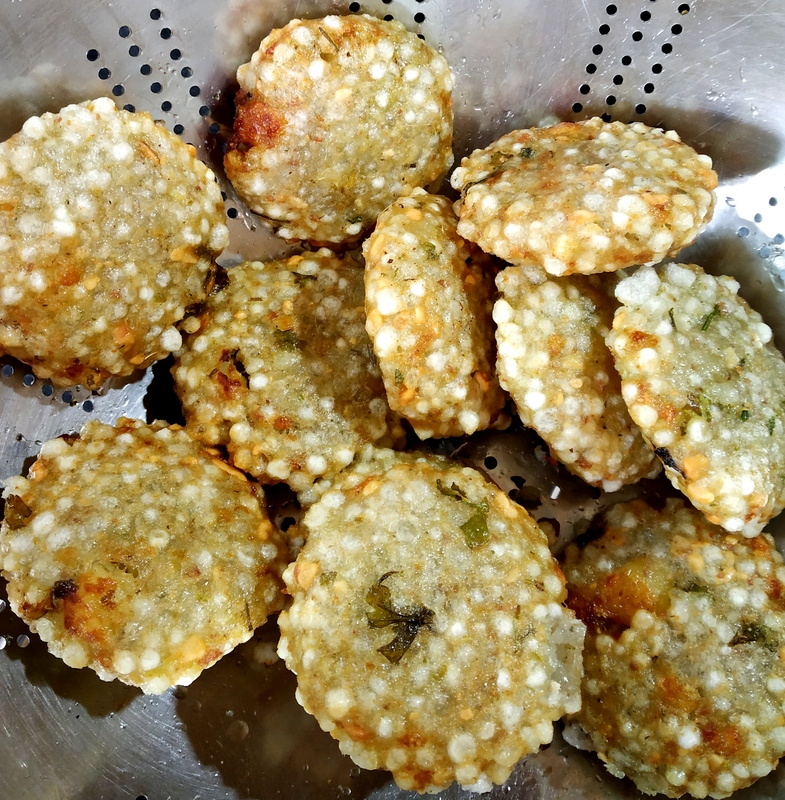 Chausela (puris made from rice) and farra are also very popular snacks in many regions of Chhattisgarh. Steamed and made from rice flour, farra (Chattisgarhi French fries) is wholesome meal and very satisfying. The soft and steamed ‘Bafauri’ made with channa dal (lentils) is a loved name too. When I went around asking, “what is one thing that you must taste in Raipur”, the locals said Angakar roti. It is a flatbread made of rice flour and its dense texture and its intense taste makes it delicious in comparison to other flat breads. The most interesting bit about Chhattisgarhi dishes is that they use simple ingredients and yet have astonishing flavors. One of the noticeable things is that Chhattisgarhiyas have distinct flavors for sweet and salty dishes. They don’t mix the two. 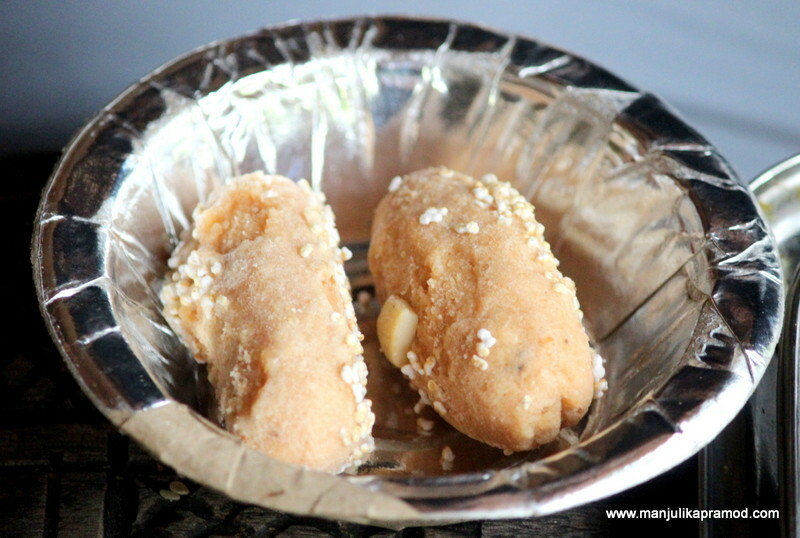 Dehrauri, khaja, anarsa and pidiya are sweets and showcase the delicious treasures of Chhattisgarh. Another delightful sweet treat is Dhushka. It is crispy and spongy. The Chhattisgarhi version of it is very close to the popular snack of Jharkhand. Khaja, Jalebi, Gulgula are some of the dishes that are common in other states too. 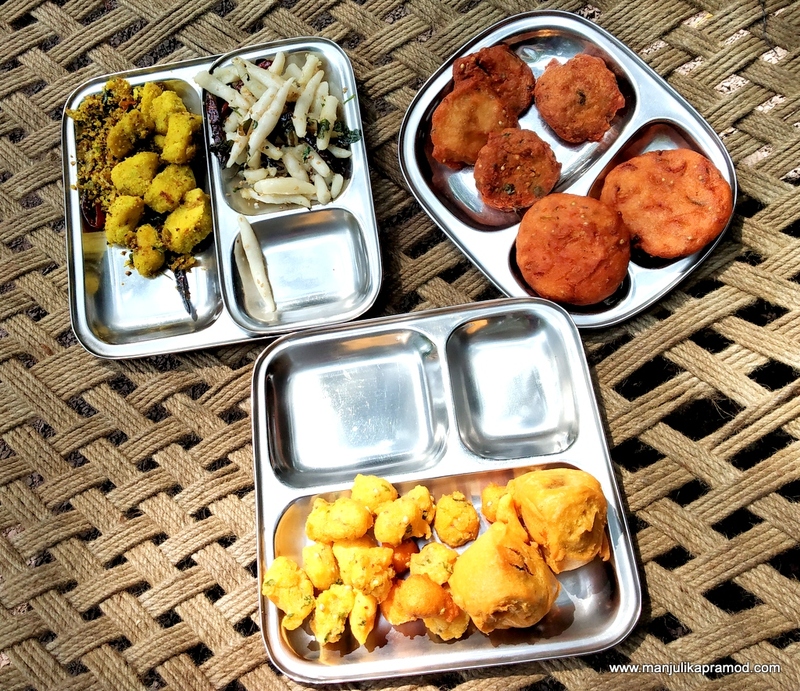 The other treasures of Chhattisgarh are Moti Roti (rice flour bread), rice pakoras, dehati vada and muthiya. Hatphodva is a little complicated, idli kind of dish which can be both, sweet or salty. 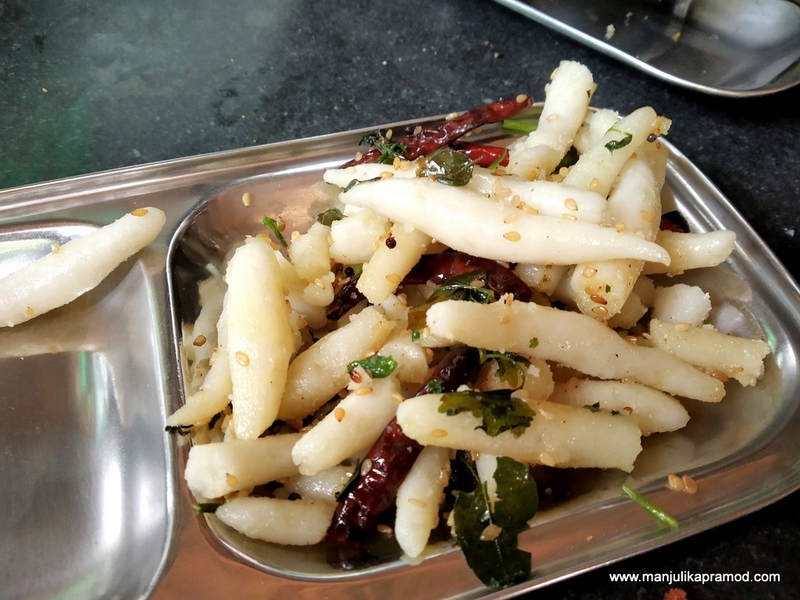 Made with rice, flour, water, salt, sesame seeds, garlic cloves, curry leaves, muthiya is equally interesting. While the red ant chutney from Bastar region is very famous, tomato, mint, tamarind, coconut, mango chutney or chilli chutney is also quite popular among the locals. An everyday meal consists of lentils, green veggies and variety of dishes made of rice flour. The subtlety of the snacks and dishes of Chhattisgarh is truly impressive. To round off the whole indulgence, one can pick on wood apple juice (seasonal bel ka sharbat), Sattu drink, lemonade or buttermilk. Follow my live travel and food updates on twitter.